I am very fortunate to have some good relationships on this forum. It’s a pleasure to be a part of such a friendly and supportive community. I just got Drew ‘s shipment today. In that shipment was a pair of 1950’s Mullards. I put one in the phono and omg! The soundstage came so alive in comparison to the Genalec Gold Lion. Cymbals are so sweet sounding. What an amazing experience and I’m only one tube in!! Thanks to both of you as I have quite a bit of experimentation to look forward to for not a lot of coin. Joe I put in a Electro Harmonix 12Au7 in my Vincent and was surprised, since we have the same Phono Pre would you suggest a Mullard over the Genelac Gold Lion you suggested to me a while back? Beck Morning Phase is a fantastic album. 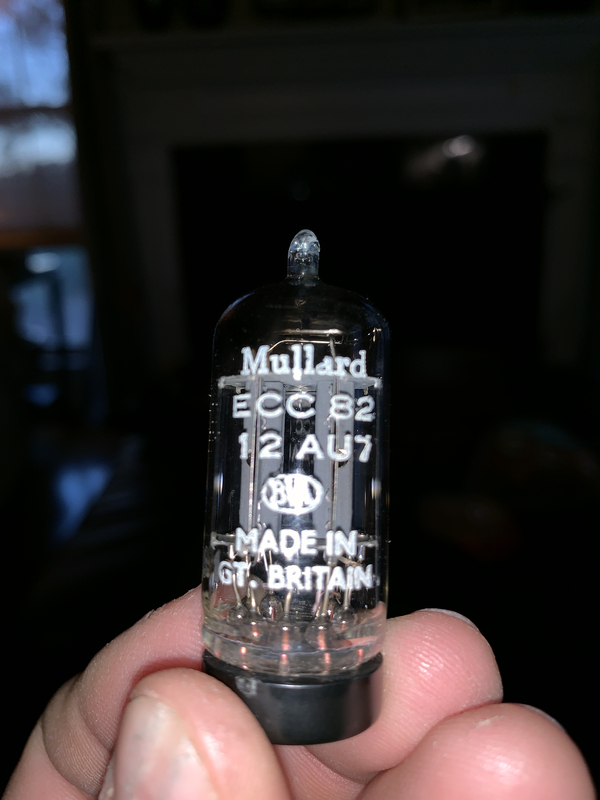 I guess my next tube will be a Mullard over the Genelac Gold Lion, thanks for posting. Very nice Joe! Those look minty! Thanks to @Clipdat for these guys. 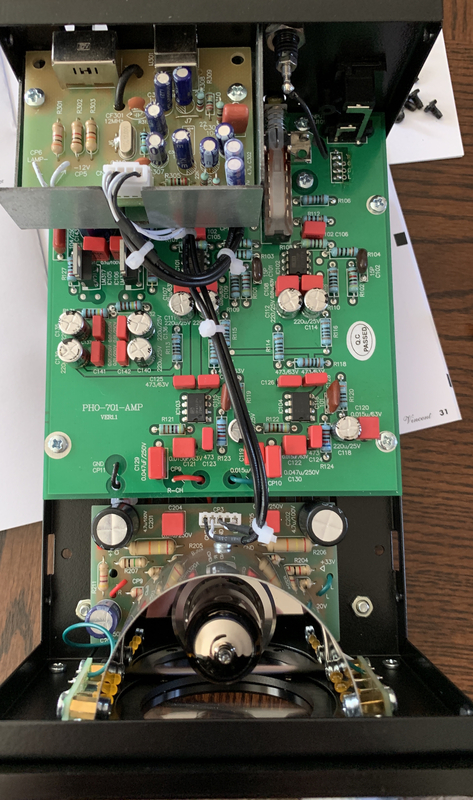 Interesting to see a 12AU7 used in a phono preamp. It's a fairly "low mu" (technically "medium mu") tube compared to the 6922 or 12AX7 ("high mu") amplifier tubes usually used... or is the tube "just" used as a buffer after a solid stare amp/EQ stage in your preamp? amplification factor(s) of the 12AU7 = 17.0 (triode 1) and 19.5 (triode 2). amplification factor of the 12AX7 = 100 (both triode sections). I believe the tube is used as a buffer for coloration. That’s right guys. I don’t know a fraction of what you guys know, I just know when the Mullard went in, the sound was a huge change. Naaa you were just mesmerized by the mullard orange glow. That electron cookoff will get you everytime. I'm jealous! @Clipdat Drew where did you get those! I think it's cool that they made such a big difference.